After multiple delays, Red Dead Redemption 2 is finally in our sights and launching October 26th, 2018. The much-anticipated sequel to Red Dead Redemption, RDR2 is an open-world Western adventure with barely any competition. 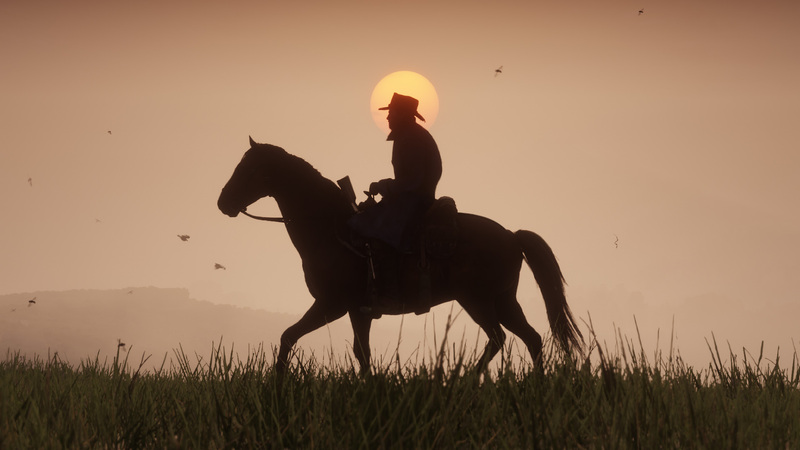 Take-Two Interactive and Rockstar have slowly released details of Red Dead Redemption 2 over the years as well as the inevitable game leaks. We’ve collected all the important information on Red Dead Redemption 2 including rumors, leaks, screenshots, and latest news. A leak from Trusted Reviews revealed that Red Dead Redemption 2 features multiple game modes including a Battle Royale mode. Trusted Reviews initially didn’t release the leak which was originally received in August 2017. This is because there was no evidence to substantiate the information provided in the leak. However, as Rockstar released more details on Red Dead Redemption 2 it seemed to corroborate the details Trusted Reviews received. Trusted Reviews did this by comparing official Rockstar pictures of Red Dead 2 with the leaked pictures they received. • Battle Royale – Just like the movie, survival blends with last man standing gameplay to bring one player or team to victory. • Money Grab – Two teams vs each other and race to grab bags of coin in a central location then rush it back to base. • Revive and Survive – Two teams vs each other in battle and fight elimination with time limits on the revival of teammates. Red Dead Redemption 2 features a large, immersive open world with a day/night cycle and interactive NPCs. Players will see NPCs do things past their usual capacity of buying and selling. Behavior such as packing away storefronts at night before putting them back out in the morning. In addition, many NPC stores are interactive allowing players to pick up different missions as well as purchase items. NPC types include General Store owners, Gunsmiths, and Undertakers. Red Dead Redemption 2 will also feature a Slums market where NPCs frequent at different times to sell items at lower prices. 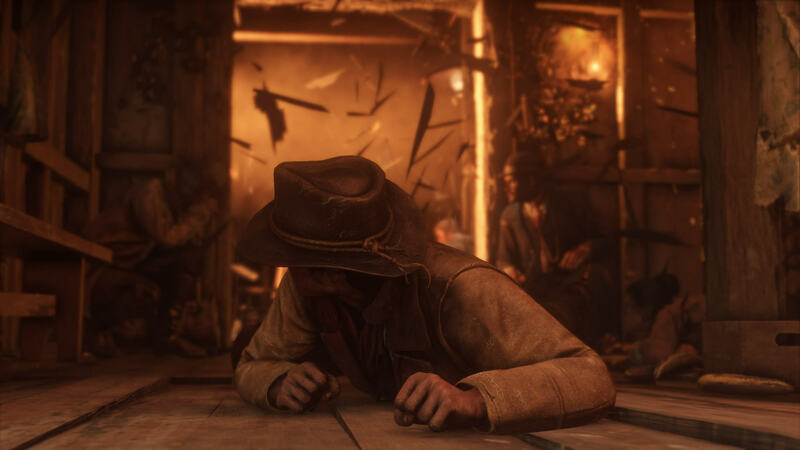 Gambling is a feature in RDR2 however, in what capacity is currently unknown. Players should see some in-game poker games and similar types of gambling as well. Speaking of gambling, wanted levels are back but don’t expect missions to be just like GTA V. The world of Red Dead Redemption 2 includes Railway Stations and fully explorable Trains. Trains and Stations will not be controllable by players, however, will feature their own NPCs and unique settings for players to explore. Train robberies and heists should be part of gameplay as seen in the trailers. Red Dead Redemption 2 also features a housing system similar to that of Grand Theft Auto V. Red Dead’s open world will have buyable tents for players to camp or live in. In-game tents are said to come in multiple designs and can be upgraded by players. There’s an awesome amount of questing areas if the map we’ve seen is real and new side activities in Red Dead Redemption 2. Further, much like the GTA V Rockstar app, Red Dead Redemption 2 leak notes indicated a companion app may be in development. Not only will Rockstar’s Red Dead Redemption 2 app link players to the game world from their phones but a poker mini-game may be included. Side activities provide lots more opportunities for achievements such as collecting fish from different areas. Fishing gets pretty in-depth including different baits and tackles like a can of worms. Further, players can complete Horsemanship challenges to raise their Rider’s rank. Plants and herbs can be gathered for crafting purposes, with the leaked document listing types including Clamshell, Ghost, Night Scented, Rat Tail and Spider Orchids. Leaks suggest Red Dead Redemption 2 has an optional first-person mode for online multiplayer and the main campaign. Rockstar’s Grand Theft Auto V also introduced the first-person mode so Red Dead’s first-person could look similar. Fortunately, not every bit of information is sourced from a leak. On September 28 Rockstar released the second trailer for Red Dead Redemption 2 and confirmed a few story details. 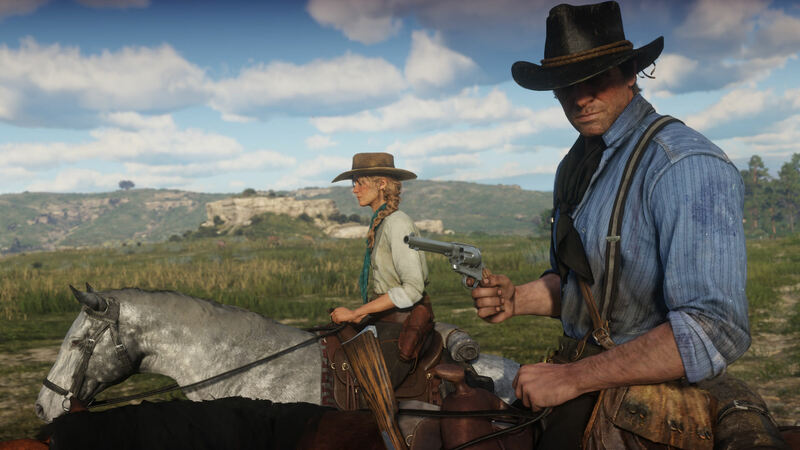 RDR2’s storyline becomes even more interactive than the first game with a dynamic story where player choice molds the future. Players and Red Dead fans took to the internet to theorize who the seven main characters of Red Dead Redemption 2 are. Through social engineering and profile stalking fans and YouTubers connected characters and voice actors to Red Dead Redemption 2. Multiple people were connected around the time Red Dead was announced and an IMDB listing of the voice actors was also removed. Could the IMDB listing have been removed in order to not reveal too much about Red Dead Redemption 2’s characters? • Arthur Morgan – Main protagonist of RDR2, lawbreaker, train and bank robber, member of the Van der Linde Gang. • Dutch Van der Linde – Leader of Dutch’s Gang aka the Van der Linde Gang and Arthur Morgan’s boss. • Bill Williamson – Returning character, member of the Van der Linde Gang, and John Marston’s first target in RDR1. • Bonnie MacFarlane? – It’s possible the female character seen in the latest Red Dead Redemption 2 screenshots could be Bonnie MacFarlane. There’s also another similar looking blonde woman in the second trailer. MacFarlane was one of John Marston’s closest allies in Red Dead Redemption. Some people have suggested it could also be John Marston’s wife Abigail Marston with a hair color change. Whoever this badass babe is, it looks like she’s part of the Van der Linde Gang. Moreover, the original Red Dead Redemption picture released shows seven characters. Since then, many fan theories have surfaced on who those characters are. Keep in mind, the seven characters may not be in the same gang. The most common theory is that the 7 characters in the picture below are in order: John Marston, Jack Swift or Javier Escuella, Dutch Van der Linde, Arthur Morgan, Bill Williamson, Landon Ricketts, and a Native American character who is possibly Shadow Wolf from Red Dead Revolver. RDR2 could come to Nintendo Switch due to the L.A. Noire port to Switch launched at the end of 2017. Feedback on Rockstar’s L.A. Noire on Switch was fairly positive and Switch also got a port with Crews capability. Players can now link their Nintendo accounts with their Rockstar Social Club accounts. Recently, Nintendo Switch added some great games to their catalog like Doom, The Elder Scrolls: Skyrim, and of course The Legend of Zelda: Breath of the Wild. There is currently a rumor that Diablo 3 and Fornite are releasing on Nintendo Switch. So it’s not entirely impossible that Red Dead Redemption 2 will get a port to Nintendo Switch. However, it’s all speculation and leaks when it comes to RDR2 on Nintendo Switch at the moment. Before Red Dead Redemption 2 was even officially announced there was a leak of the RDR2 map. Originally posted on NeoGaf, the leaked RDR2 map was confirmed by other reputable sources and seemingly corroborated by information from Rockstar. Until there is official information it’s important to keep an open mind about leaked information. The RDR2 map leak coincided with information indicating the game would be a prequel and that the new map is just East of the RDR1 map. However, other sources claimed the RDR2 map leak was fake and that it did not make sense for a Western setting. Suggestions have been made that RDR2’s map is located North of RDR1’s location. Looking closely at the leaked map it seems that it indicates caravan sites, boat-travel and it shows that the majority of this huge open-world map is, in fact, North-East of Red Dead Redemption’s map. Later, the Red Dead Redemption 2 trailer confirmed boat travel via canoe. There is a high chance the suggestions of this map leak being fake came before the swamp areas and canoeing were confirmed in the trailer. • The map is huge – as it should be for an epic open-world Western and multiplayer game. 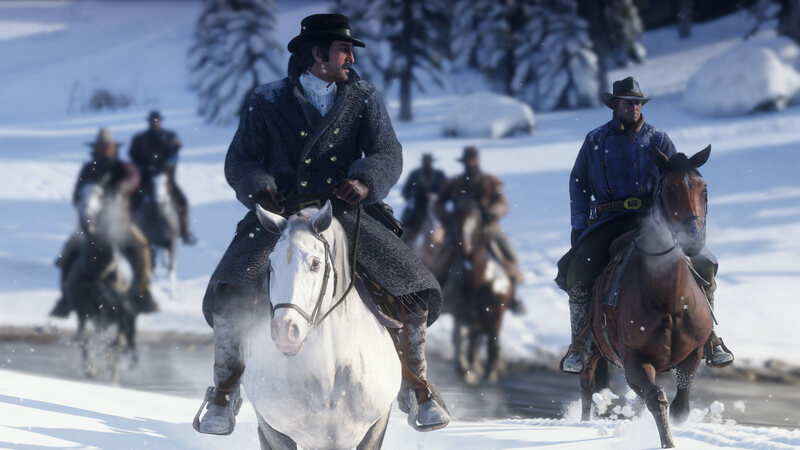 • Snowy area – There are noticeable snow and mountains featured in the second RDR2 trailer. There is also what is possibly a snowy mountainous area on the leaked map. • Swamp/bayou area – Featured in the second trailer the swamp area will have alligators or crocodiles for players to hunt. In the latest Red Dead Redemption 2 trailer, characters are seen wading through swamplands in chest-height water. Could this mean players will get to swim in Red Dead Redemption 2 in addition to canoeing? • RDR locations on the map – Blackwater, The Great Plains, and West Elizabeth are seen on the leaked map and indicate the second game’s location is in the huge area North-East of the original game. Will Red Dead Redemption 2 have microtransactions? We aim to have recurrent consumer spending opportunities for every title that we put out at this company. It may not always be an online model, it probably won’t always be a virtual currency model, but there will be some ability to engage in an ongoing basis with our titles after release across the board. It’s pretty clear the titles Zelnick refers to include Red Dead Redemption 2. That makes sense for such a popular and anticipated game. So, expect to see microtransactions in some form coming to Red Dead Redemption 2. Zelnick’s statement on microtransactions also hints that Red Dead Redemption 2 might see microtransactions in its single-player experience as well. This would not be a first as even Assassin’s Creed: Syndicate and Middle Earth: Shadow of War introduced microtransactions. After its initial delay from Fall, 2017 to Spring, 2018 it was a little surprising for Red Dead Redemption to have another delay. The official release date for Red Dead Redemption 2 is October 26th, 2018. That sounds pretty similar to the last apology for an RDR2 delay. October 26th is a somewhat strange release date. Reason being, the end of the year is a time when many other games are releasing. The same thing happened in 2017 when Super Mario Odyssey, Wolfenstein 2, and Assassin’s Creed Origins all released on October 27th. Gamers really had their hands full because in the coming weeks Call of Duty WW2 and Battlefront 2 also released. 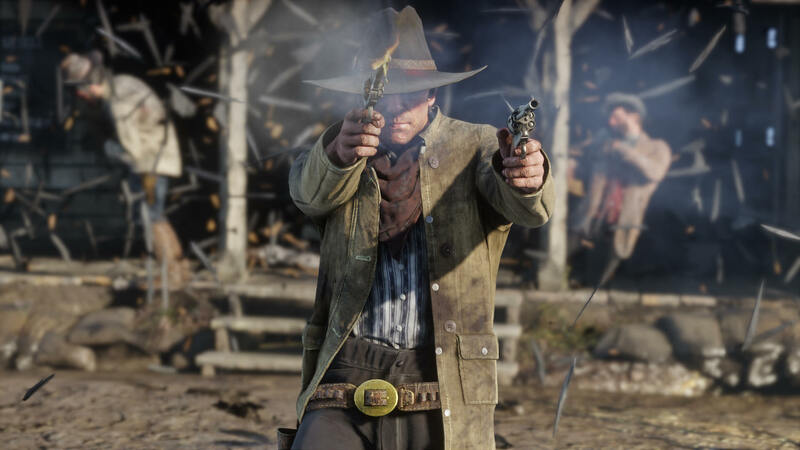 No reason to worry though, Take-Two Interactive CEO Strauss Zelnick is confident in the new release date. We have not run into particular issues,…We are building a new game from the ground up for the first time for new-generation consoles. And the pressure that we put on ourselves to deliver excellence and to delight consumers is extraordinary. 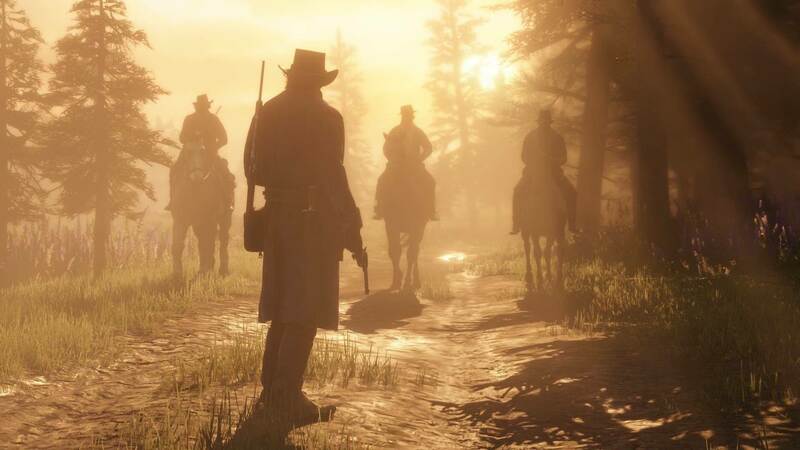 Red Dead Redemption 2’s release date is also confirmed to happen within Take-Two Interactive’s 2019 financial year. Further, PSNow is currently the only way players can experience Red Dead Redemption on PC. That means PSNow is a potential output for Red Dead Redemption 2 on PC. On the other hand, Western MMO Wild West Online released on PC in the meantime. 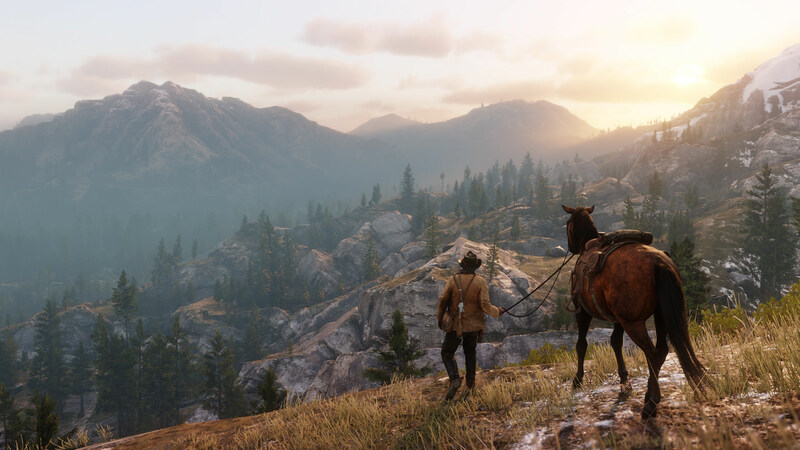 The Red Dead Redemption 2 world is a massive open-world beauty and screenshots released by Rockstar Games confirm that. Check out all the trailers and latest screenshots below. Find more screenshots in our other Red Dead Redemption 2 articles with RDR2 galleries.